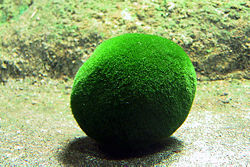 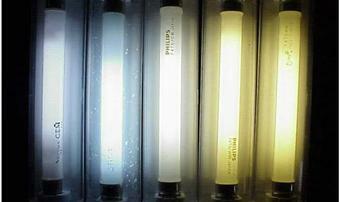 Those willing to spend on supplies and aquarium upgrades to improve their Marimo’s growth rate get their best results from achieving the right combination of appropriate fertilizing, light spectrum and intensity, dissolved mineral content, variance of water flow, and just enough supplemental carbon dioxide to keep the tank’s water pH balanced. 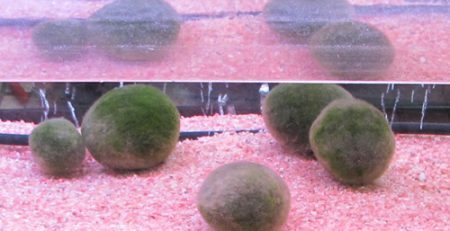 The exact details will vary depending on how close your current setup is to the optimal combination of conditions for your Marimo. 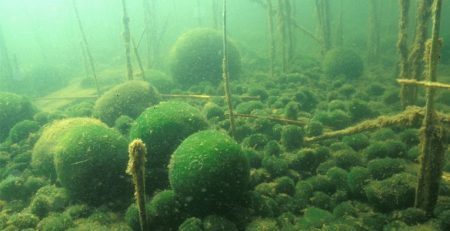 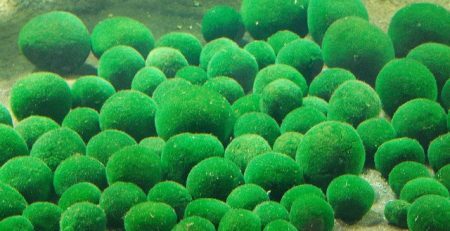 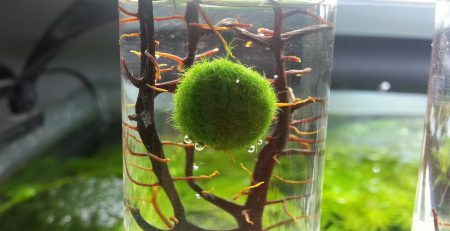 General suggestions for upgrades to speed up Marimo growth are: medium – high intensity full-spectrum light, doses of liquid nitrogen nutrients proportional to the total amount of tank water, and by supplementing the CO2+ content of the water. 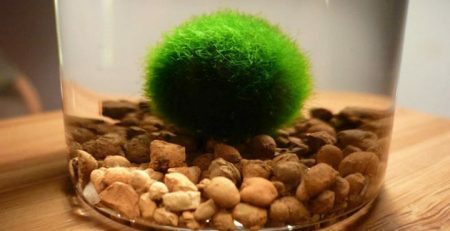 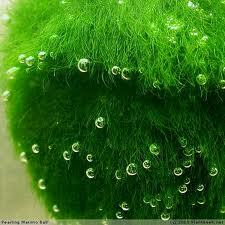 Adding CO2+ is easier when marimo have the tank to themselves, as CO2+ is harmful to animals. 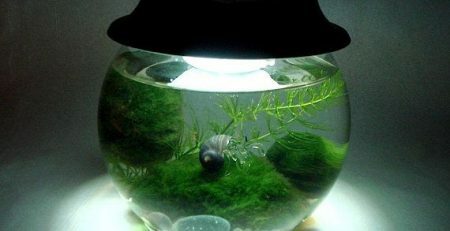 In a small tank or fishbowl, carbon dioxide can be added by simply pouring small amounts of club soda into the freshly changed tank water. 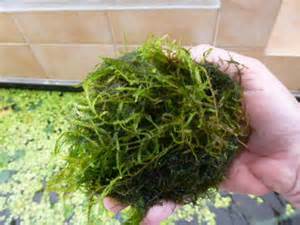 In larger aquariums a CO2+ injector pump is likely needed to maintain consistent distribution and pH levels.